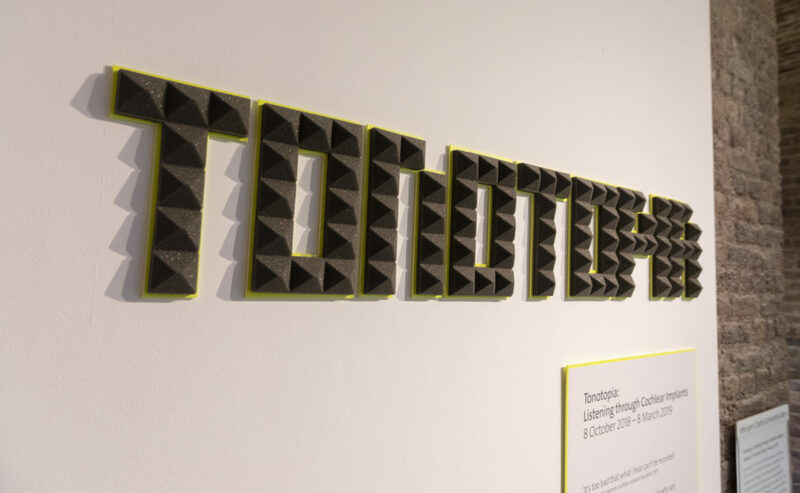 Join Dr Tom Tlalim for this free lunchtime lecture about his sound art project Tonotopia. 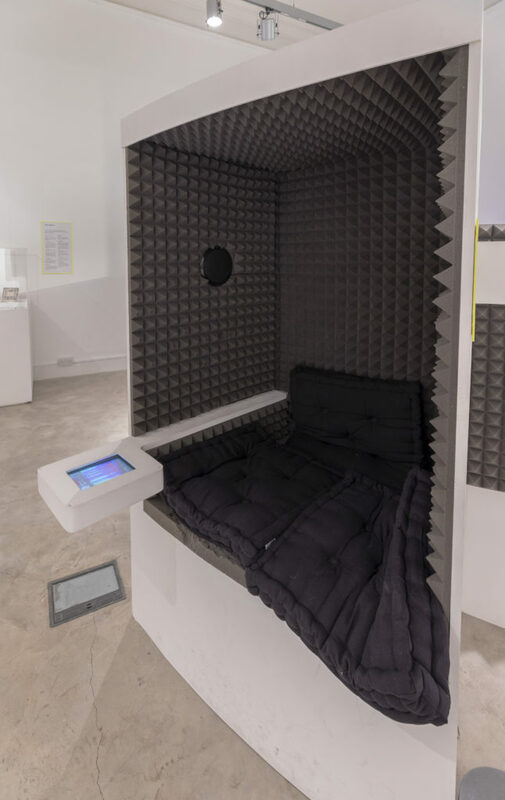 Sensory experience is an increasingly contested space. 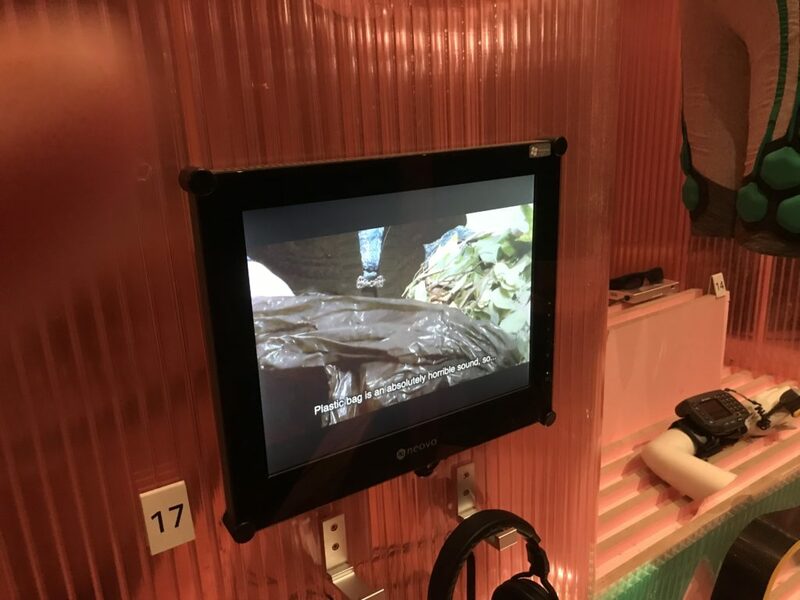 New hybrid technologies offer new physical abilities and new sensory outreach, while our bodies and our senses become sites for surveillance. 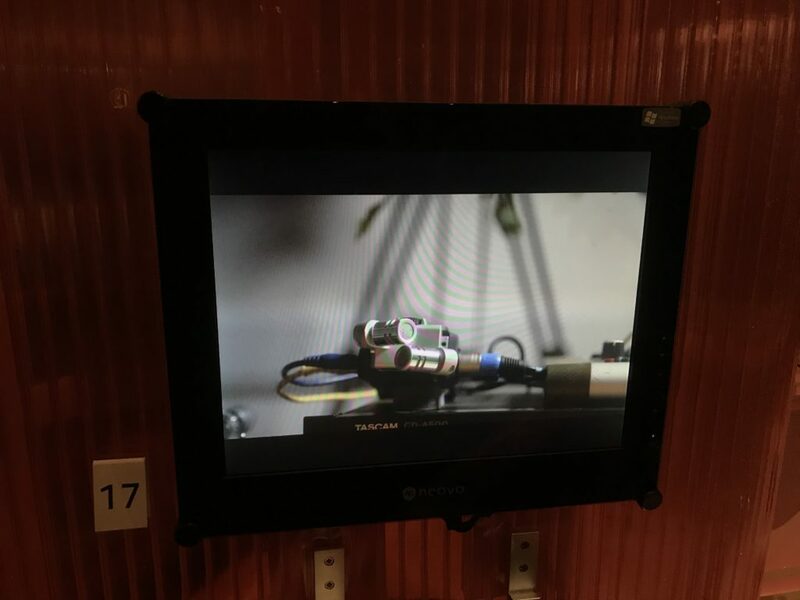 As health services, biomedical industries, scientific research bodies and tech companies compete for access to the new goldmine of the body, new legal and ethical questions are emerging on what constitutes subjectivity, agency, and intelligence within the hybrid continuum of the human-non-human apparatus. 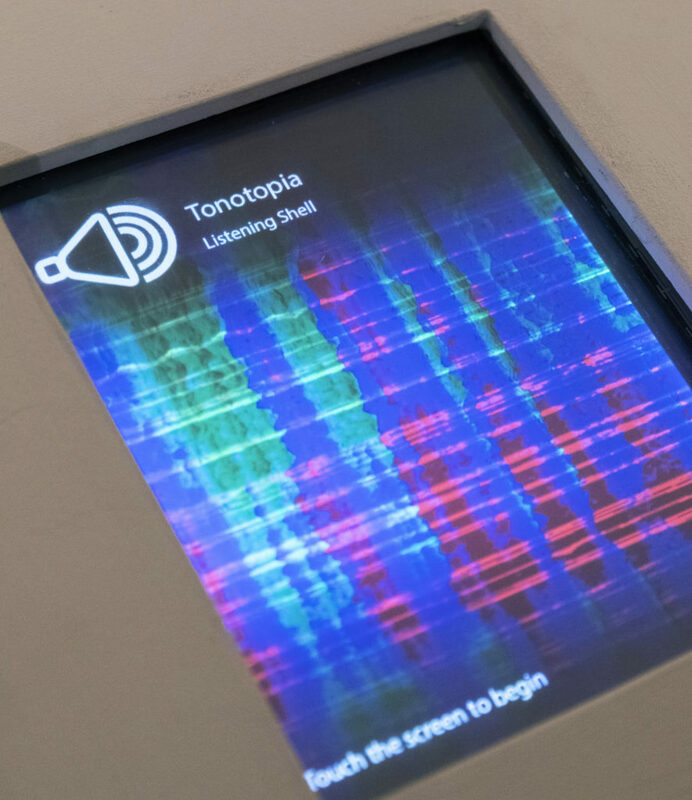 Artist and composer Tom Tlalim will present his sound art project, ‘Tonotopia’, where he recently collaborated with users of Cochlear Implants (CI), exploring their hearing / listening journeys with their digital ears. 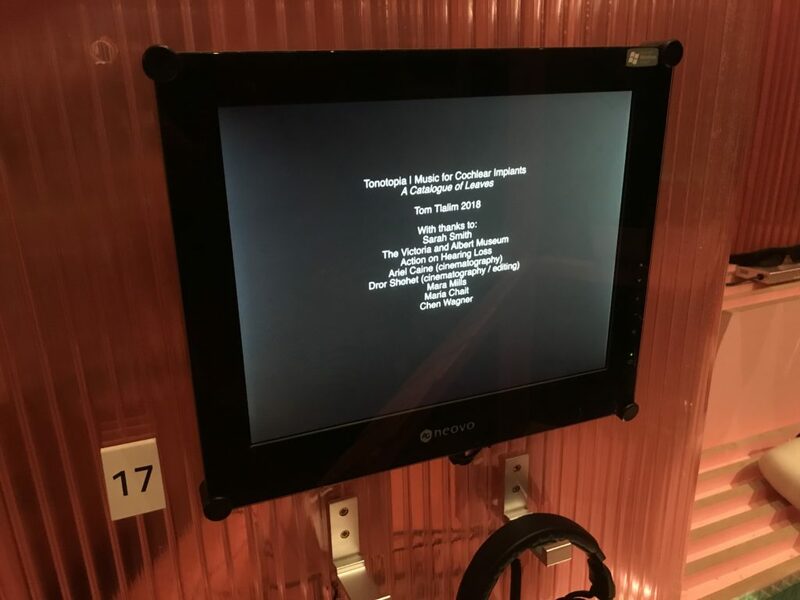 He will discuss examples from two curated shows at the Victoria and Albert museum – ‘Tonotopia: Listening Through Cochlear Implants’ and ‘The Future Starts Here’ – where composing and curating sound art for a spectrum of hearing abilities became a central theme. Cochlear implants (CIs) are the first direct sensory prosthetics. 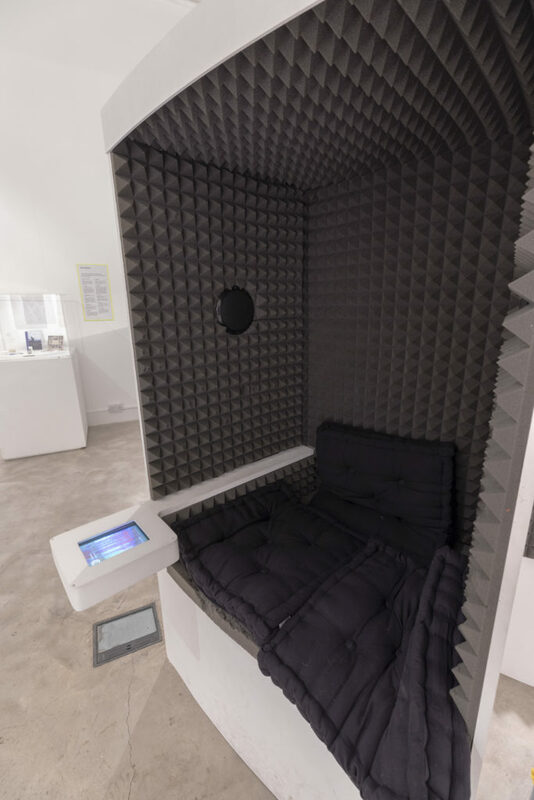 They enable people with profound deafness to perceive sound digitally, by wholly bypassing the ear, and emitting signals directly to the hearing nerve. 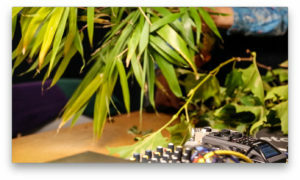 Designed to convey speech and language, music, harmony and complex sounds can sound harsh or even unpleasant with CI, which makes composing music and sound art for these cyborg ears a unique collaborative process. 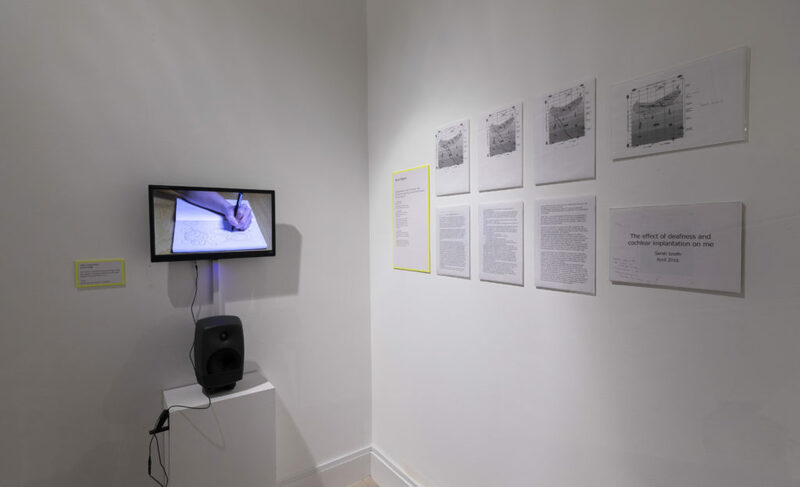 Tom Tlalim is an artist, musician and writer whose work explores the relation between sound, technology, ideology subjectivity. 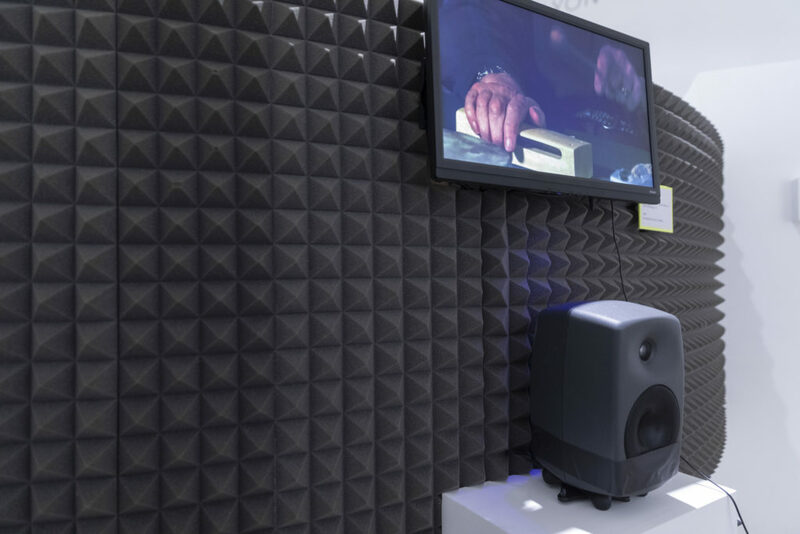 His art practice explores sonic artefacts, voices and spaces as ideological devices. 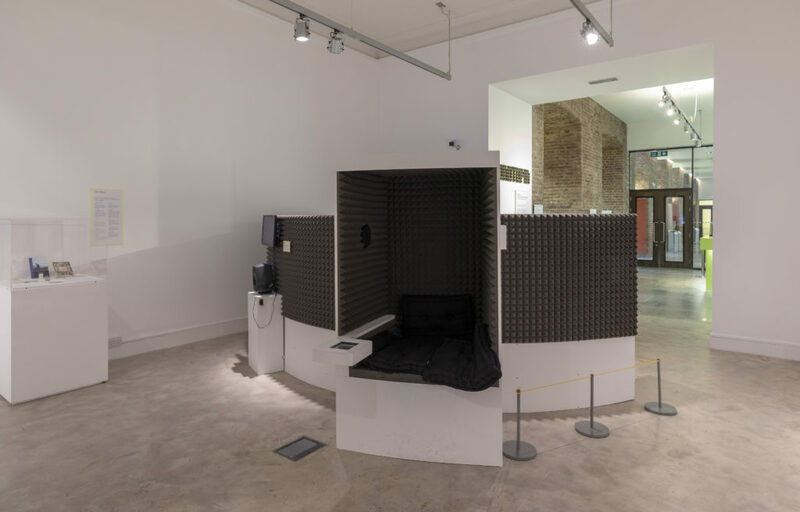 His PhD research at Goldsmiths, titled “The Sound System of the State”, was funded by the Mondrian Foundation for the Arts. He holds MAs in Composition and Sonology, and currently works as a Senior Lecturer at the University of Winchester. 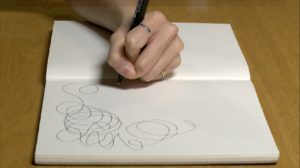 His work received numerous grants and awards and is exhibited internationally. 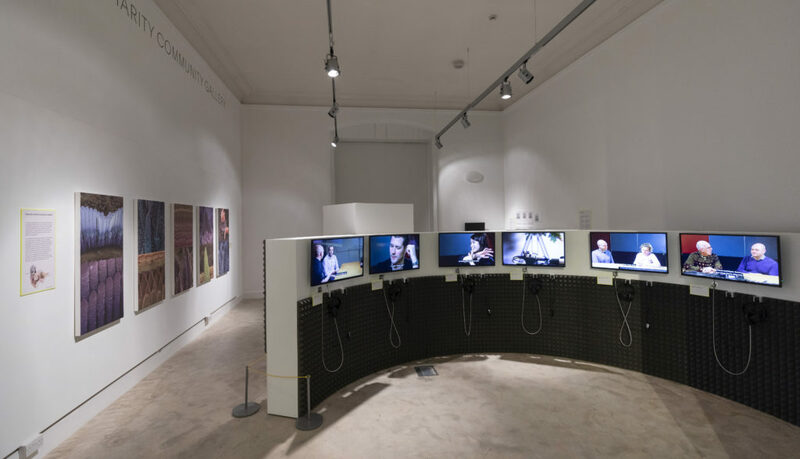 Recent exhibitions include ‘Tonotopia’ and ‘The Future Starts Here’ at the V&A in London, ‘Forensic Architecture’ at The Venice Architecture Biennale (with Susan Schuppli), “Art in the age of Asymmetrical Warfare” at Witte de With, Rotterdam, “Hlysnan” at Casino Luxemburg, the Marrakech Biennale, and Stroom The Hague. His film Field Notes for a Mine was nominated for the Tiger award at the International Film Festival Rotterdam. His regular collaborations with the choreographer Arkadi Zaides are performed widely to a critical acclaim. 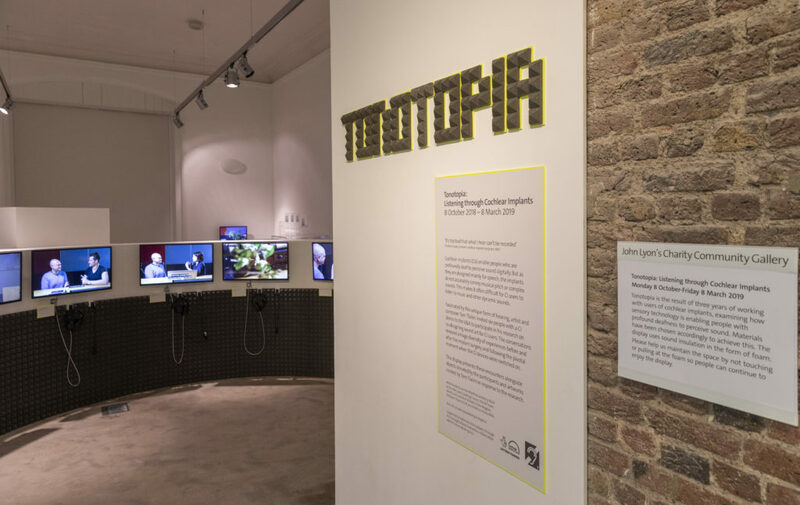 ‘Tonotopia: Listening Trough Cochlear Implants’ is a series of works developed by artist and composer Tom Tlalim in residency at the V&A and through dialogues with users of Cochlear Implants. 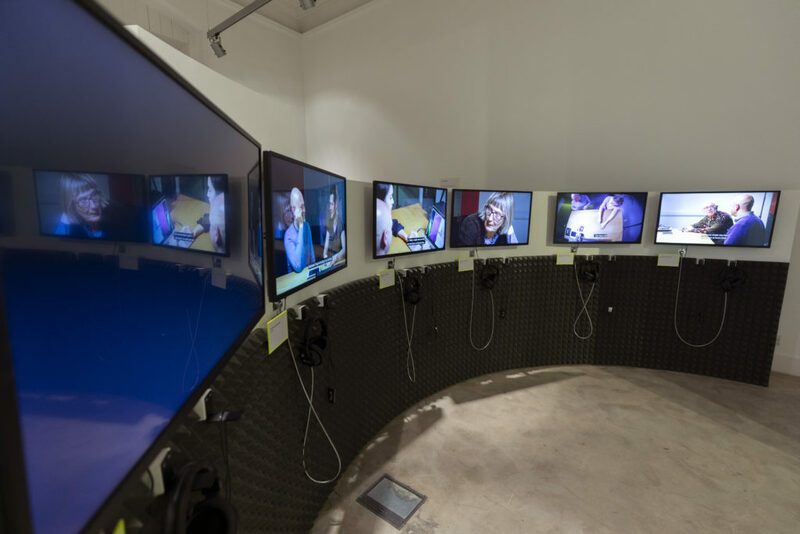 The show explores technologically-extended listening. 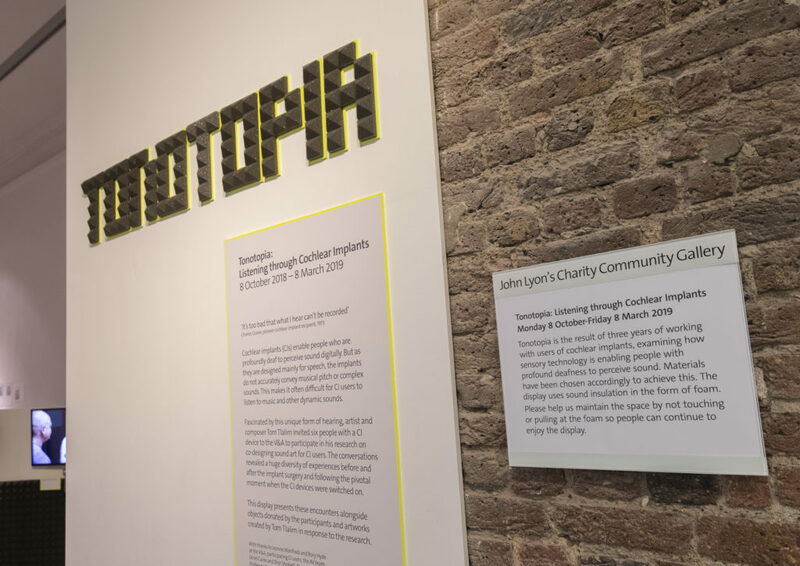 It is on show at the V&A’s John Lyons Charity Community Gallery from Fri October 12th untill March 2019. Cochlear implants (CIs) enable people who are profoundly deaf to perceive sound digitally. 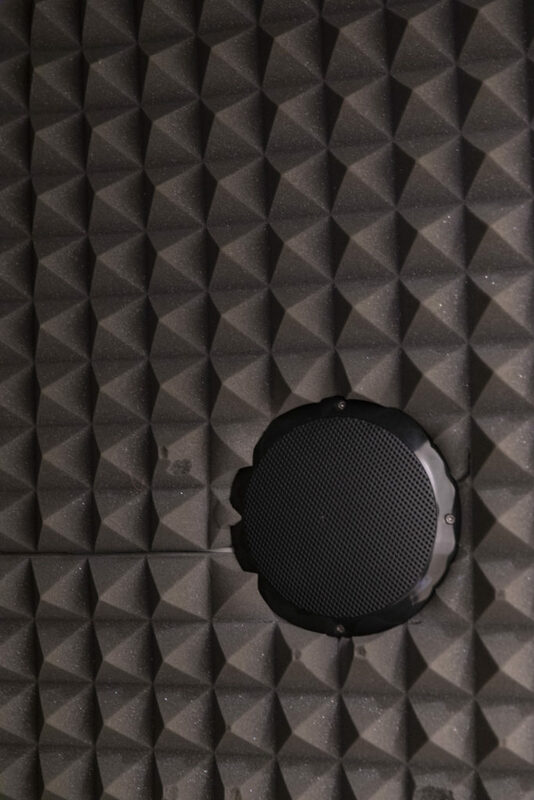 But as they are designed mainly for speech, the implants do not accurately convey musical pitch and dynamic sounds. 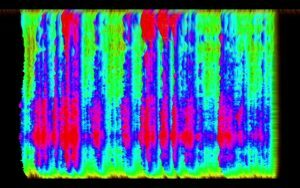 This makes it often difficult for CI users to listen to music and other complex sounds. 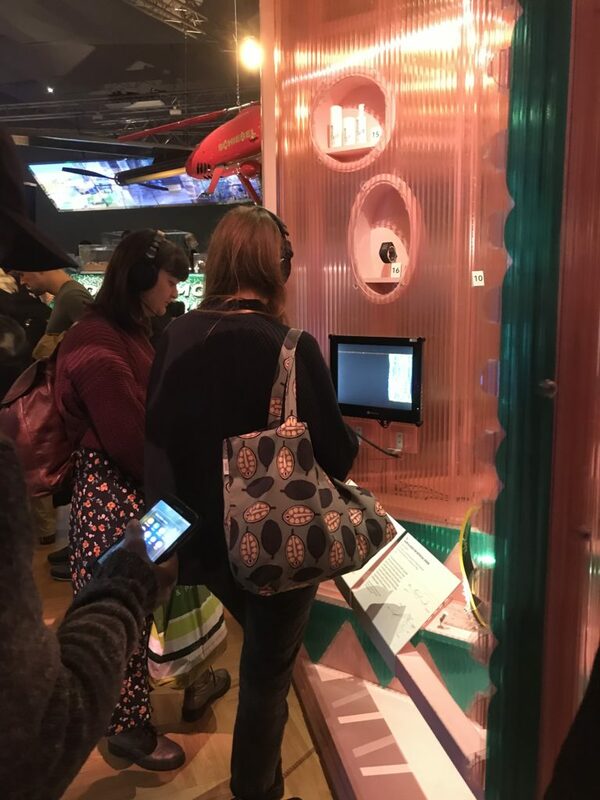 Fascinated by this unique form of hearing, artist and composer Tom Tlalim invited six CI users to the V&A to participate in his research on co-designing sound art for CI users. 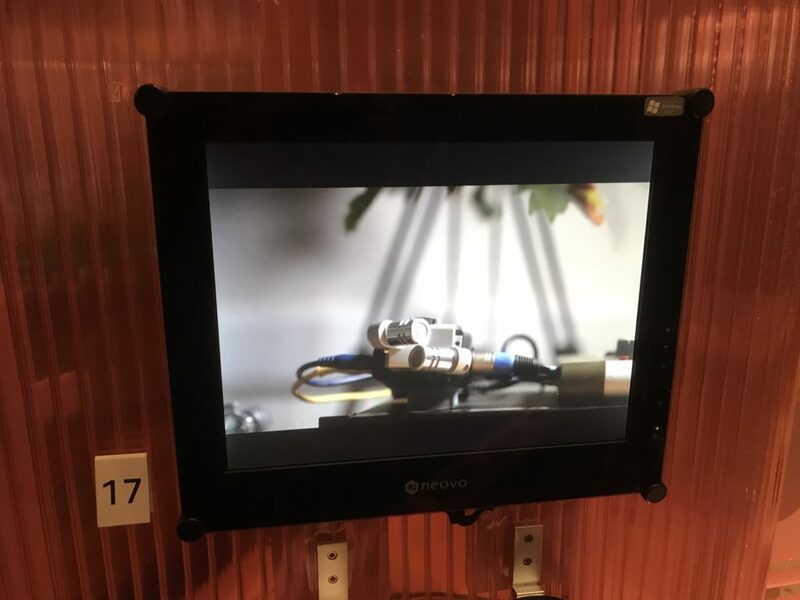 The conversations revealed a huge diversity of experiences before and after the implant surgery and following the pivotal moment when the CI devices were switched on. 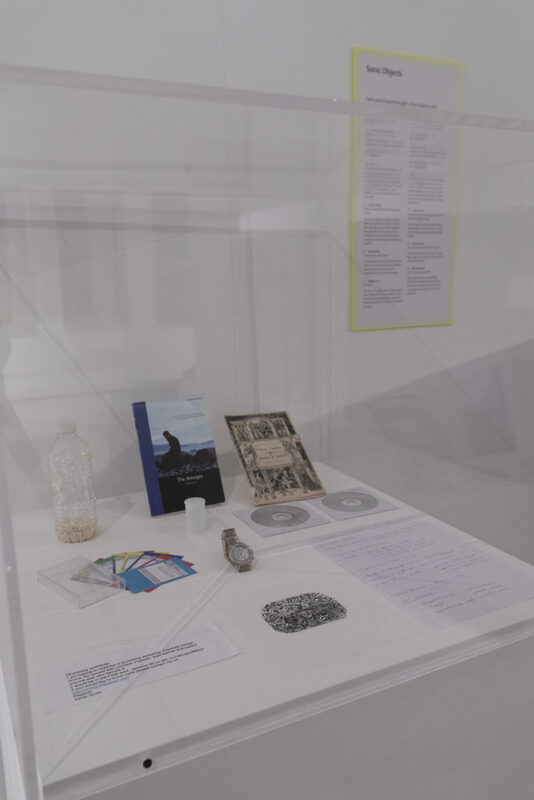 This display presents these encounters alongside objects donated by the participants and sound art created by Tom Tlalim in response to the research. 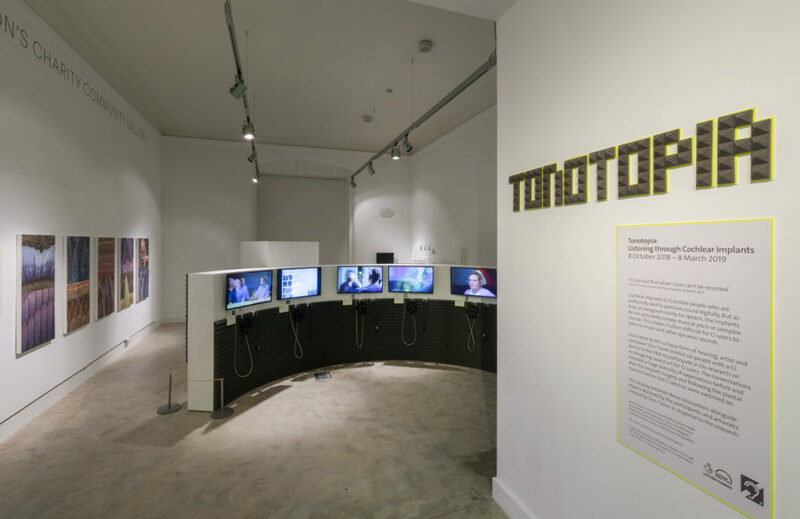 Co-curated by Dr Tom Tlalim with Leanne Manfredi and the V&A design team. Special thanks to Rory Hyde, Prof. David Furness, Prof. Maria Chait (UCL), Prof. Mara Mills (NYU) and Chen Wagner. 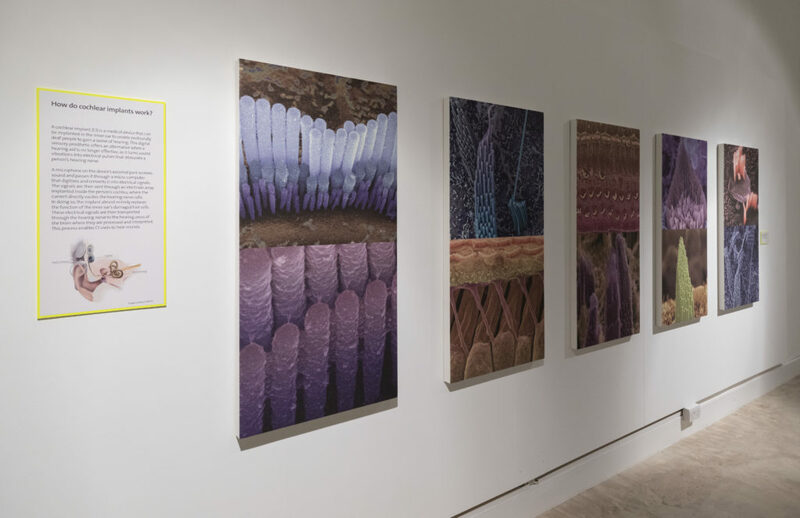 We thank Prof David Furness and the Wellcome Images collection for kindly supporting the Tonotopia V&A display by allowing us to use Prof Furness’ fantastic microscopic photography of the tiny hair cells in the inner ear. 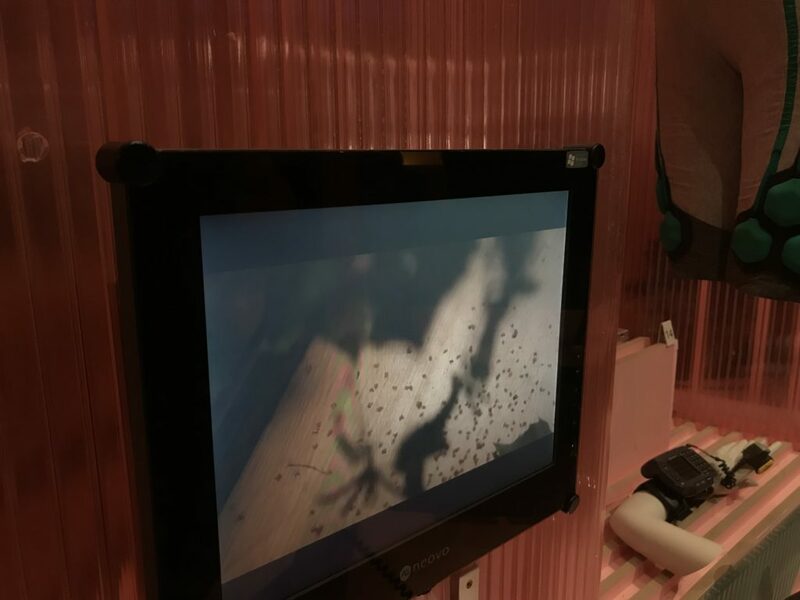 Cochlear implant user Edward Rex discusses the first time he had heard a cricket. Cochlear implant user Rachael Cunningham discussing the moment her cochlear implant was switched-on. 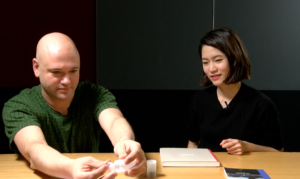 Cochlear implant user Stephen Bell discusses his favourite, most meaningful sounds. 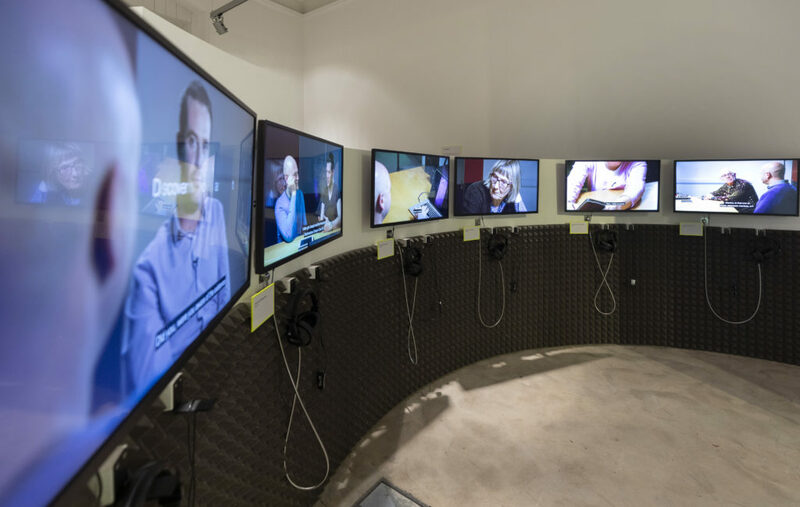 Cochlear implants (CIs) enable people who are profoundly deaf to perceive sound digitally. 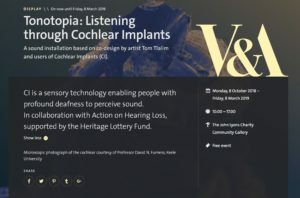 Fascinated by this unique form of hearing, artist and composer Tom Tlalim invited six CI users to the V&A to participate in his residency on co-designing sound art for CI users. 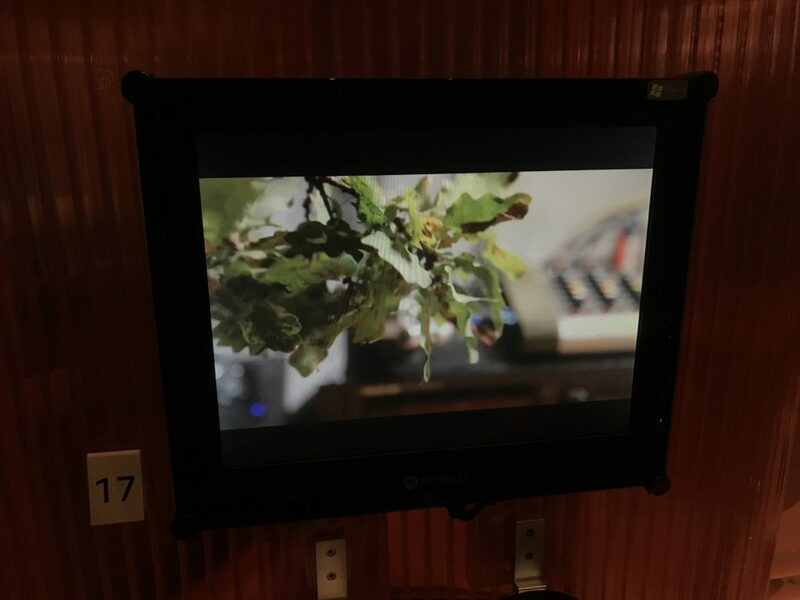 The conversations revealed a huge diversity of experiences before and after the implant surgery and following the pivotal moment when the CI devices were switched on. 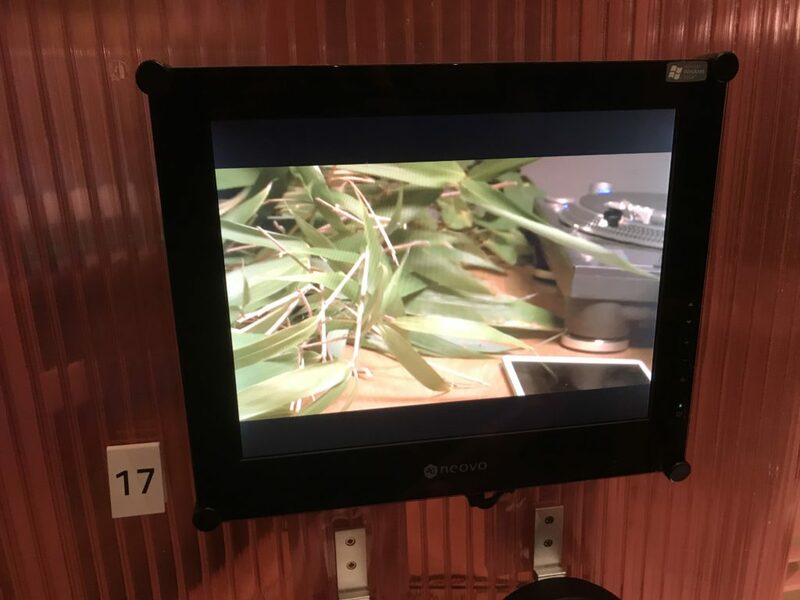 This display presents these encounters alongside objects donated by the participants and sound art created by Tom Tlalim in response to the research. 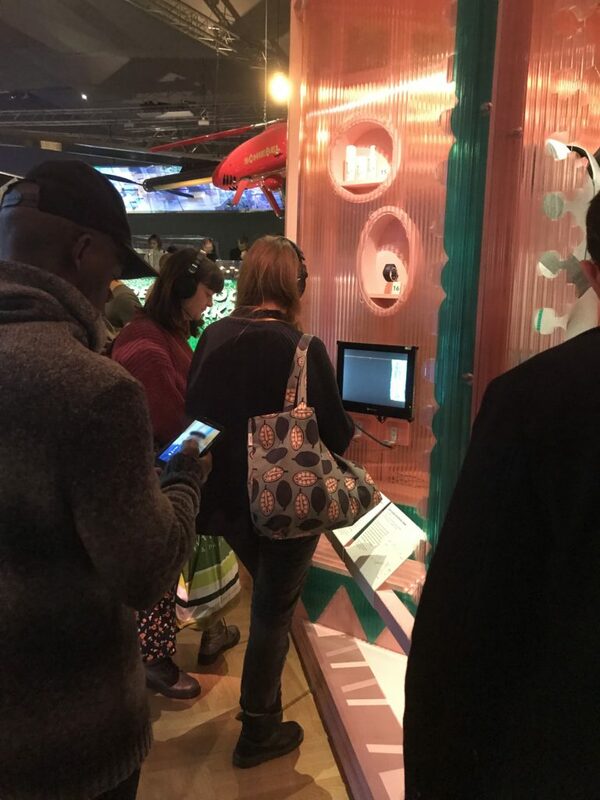 Tom Tlalim with participating CI users: Stephen Bell, Rachael Cunningham, Seohye Lee, Chris Peecock, Edward Rex, Sarah Smith. 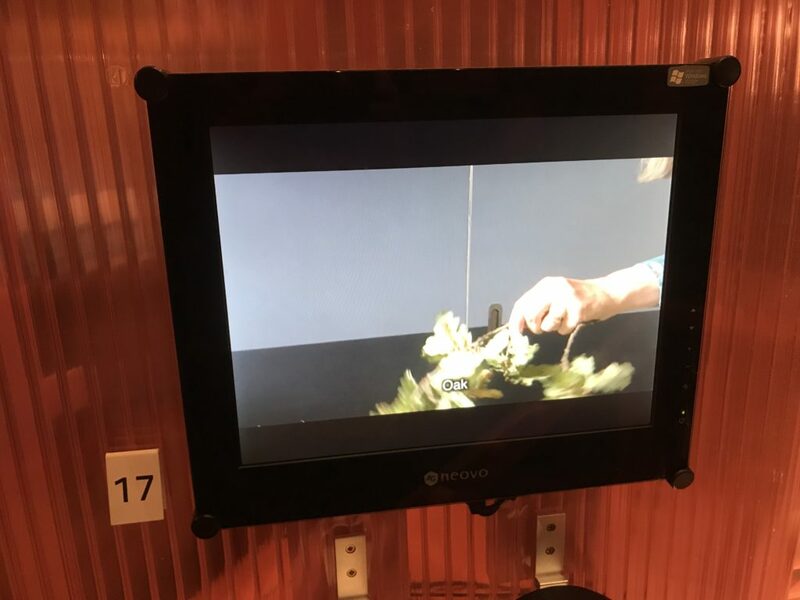 With thanks to Leanne Manfredi and Rory Hyde at the V&A, Ariel Caine and Dror Shohet, Chen Wagner, Julie Lie, Guy Harries, Prof. Maria Chait and Prof. Mara Mills. 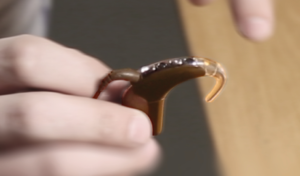 Cochlear implants are the first available commercial sensory prostheses. 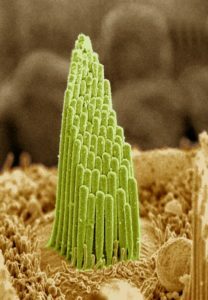 These enable people with profound hearing loss to perceive sound. 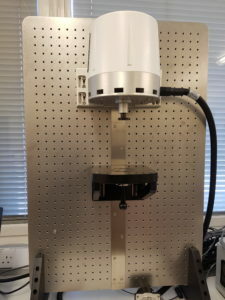 The implants comprise of a long electrode that is inserted into the cochlea through a hole in the skull, a signal receiver that is placed under the scalp, and a digital processor that analyses sound algorithmically and converts them into electrical charge. During an invasive surgical process the biological sensory infrastructure is often lost and replaced by the electrode which emits electrical pulses onto the exposed nerve ends. As these implants are designed for speech, music and complex sounds become harsh and dissonant. 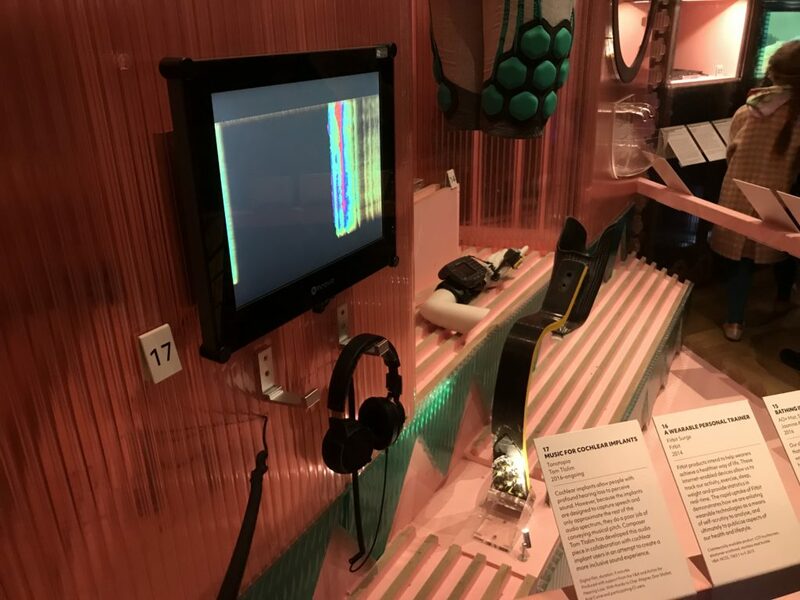 As Cochlear Implants are more widely available they are predicted to be connected to mobile web, location-aware and to benefit from cloud computing and AI. 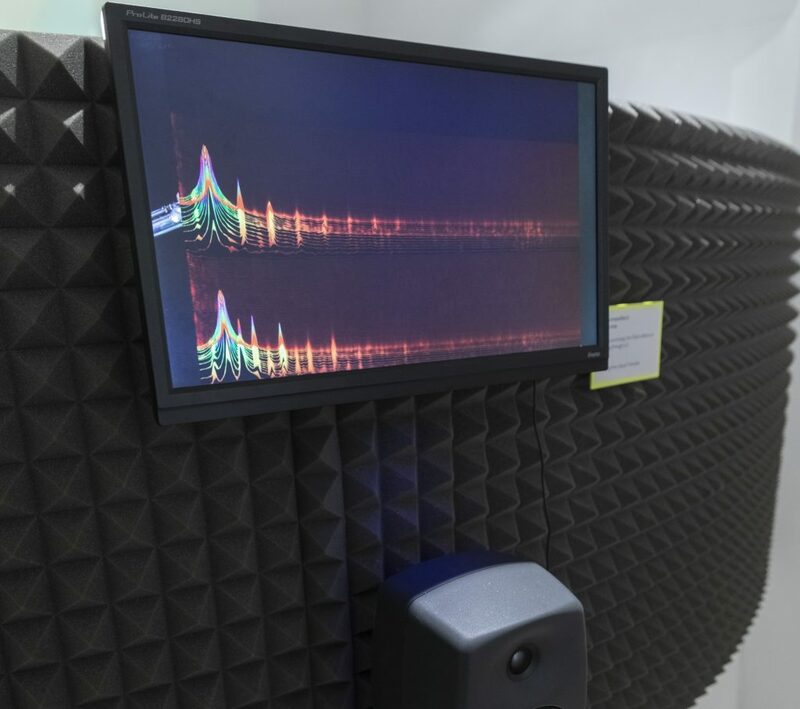 Services such as instantaneous inner ear translation are therefore not far away, as our senses become mediated by digital processes. The artist Tom Tlalim will talk about his work with Cochlear Implant users, and discuss whether subjectivity and sensory experience might soon become mediated and whether the human sense itself might become a contested space in which the health services, biomedical industries, and finance may soon compete for influence on our bodily sensory apparatus. 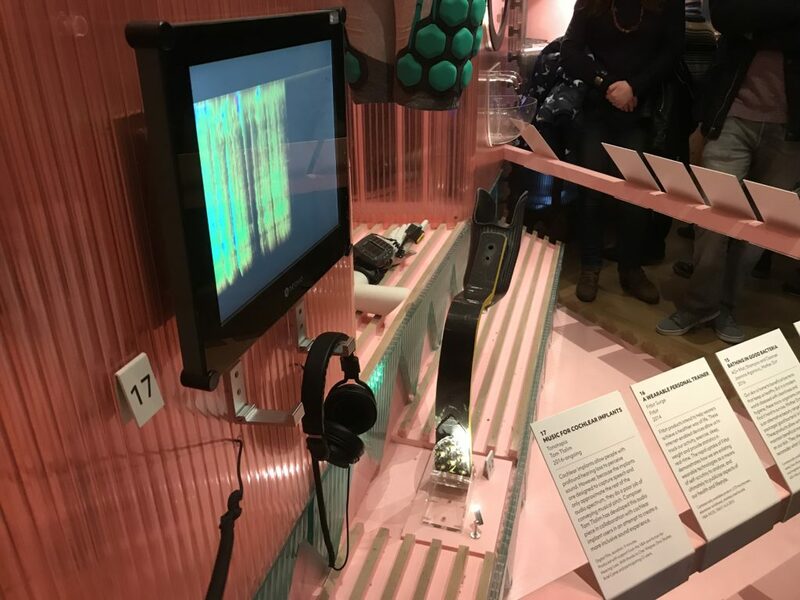 He will connect these biopolitical questions to the broader debate on the integrity of the body, referring to examples from his project, Tonotopia: Music for Cochlear Implants, that is currently on show at “The Future Starts Here” in the Victoria and Albert museum in London. 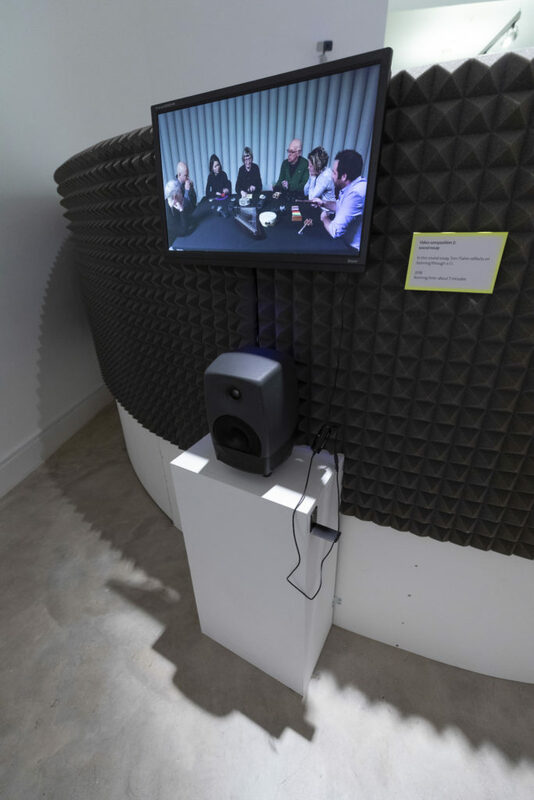 The work includes recorded interviews sonic artefacts, objects, stories and experiences that carry meaning for the participants as they negotiate their hybrid sonic experience. 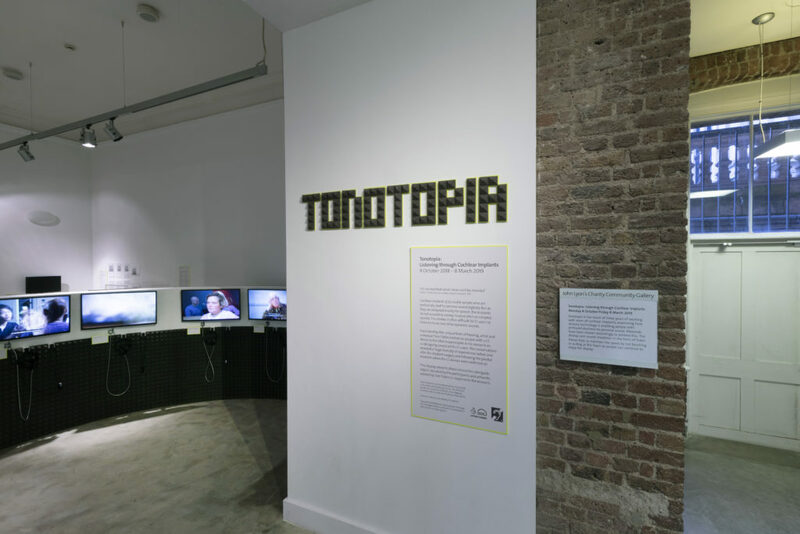 A full display of Tom Tlalim’s ‘Tonotopia’ project will be exhibited at the John Lyon’s Charity Community Gallery, the Victoria and Albert Museum, between 8 October 2018 and 8 March 2019. 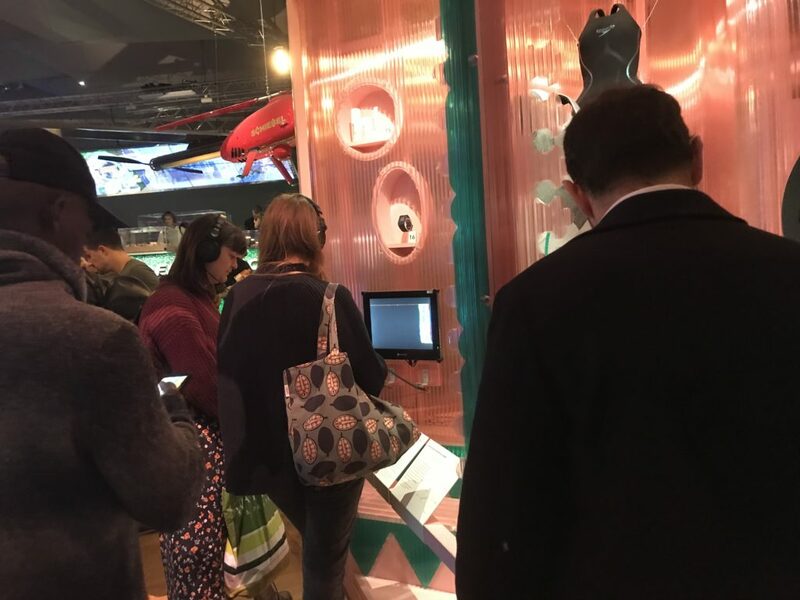 The project is realised with the kind support of the Victoria and Albert Museum and the National Lottery Foundation, and Action on Hearing Loss. 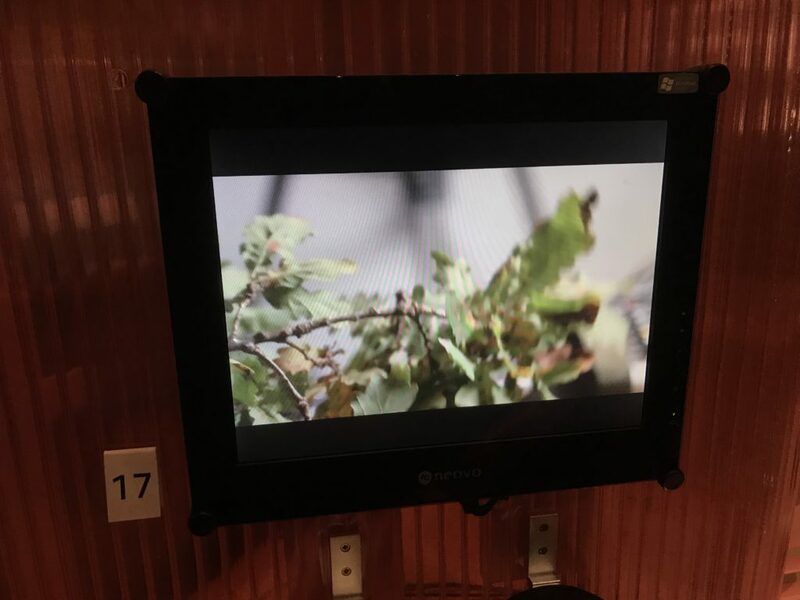 The video ‘Tonotopia: Music for Cochlear Implants | A Catalogue of Leaves’ is on show at ‘The Future Starts Here‘. 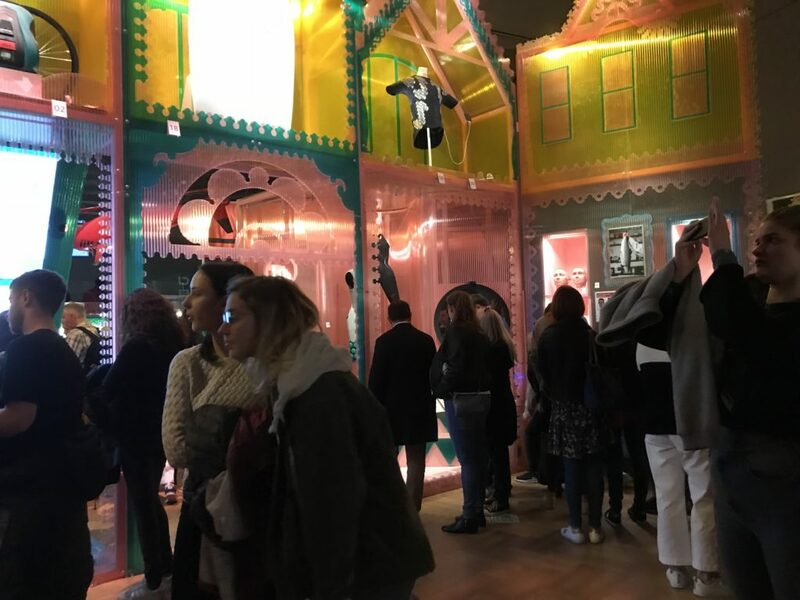 The first large scale exhibition of the new Design, Architecture and Media department of the V&A. 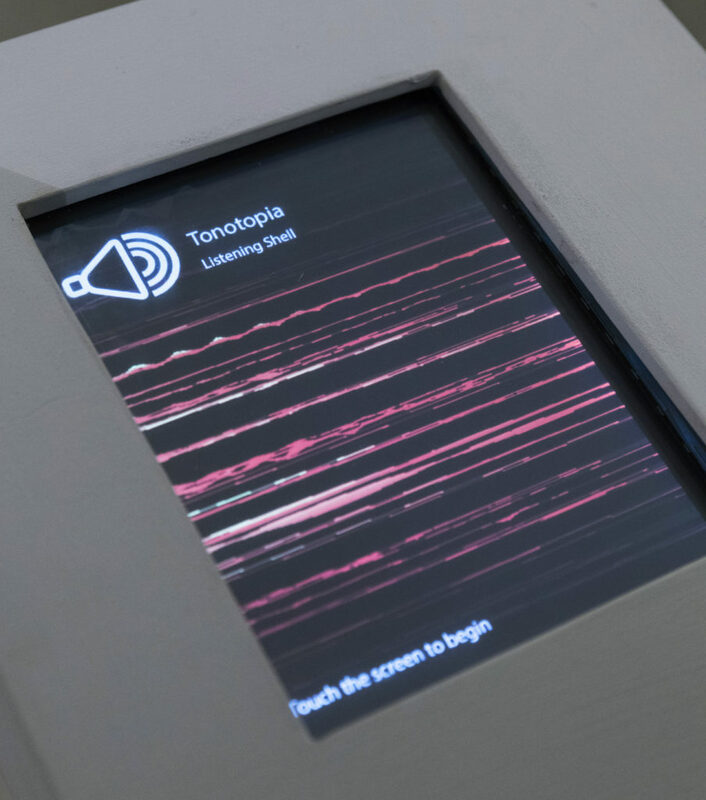 Artist Tom Tlalim discusses his artistic residency at the V&A and his upcoming project ‘Tonotopia: Co-designing sound art’ with users of digital hearing implants. 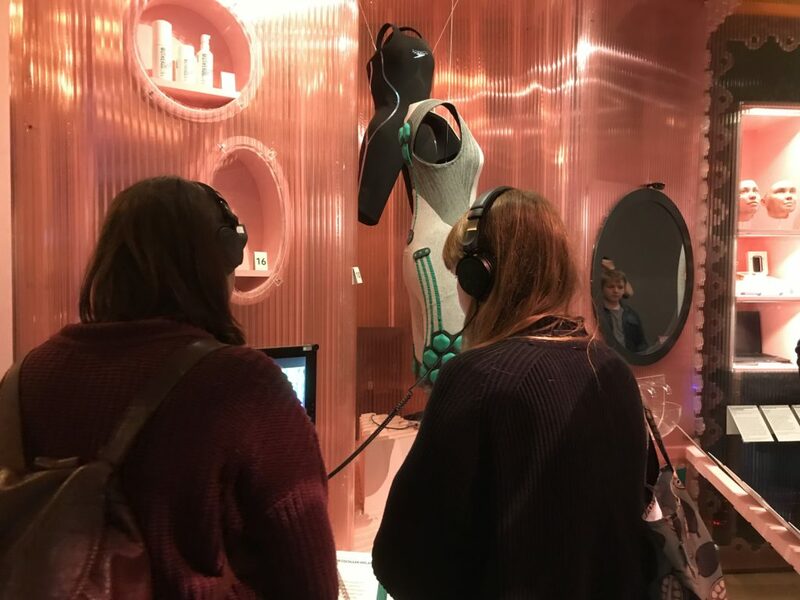 In the wake of recent developments in sensory prosthetic technologies he asks, how can artistic listening experiences be shared by different ears? This talk took place on Wednesday 29 March 2017. 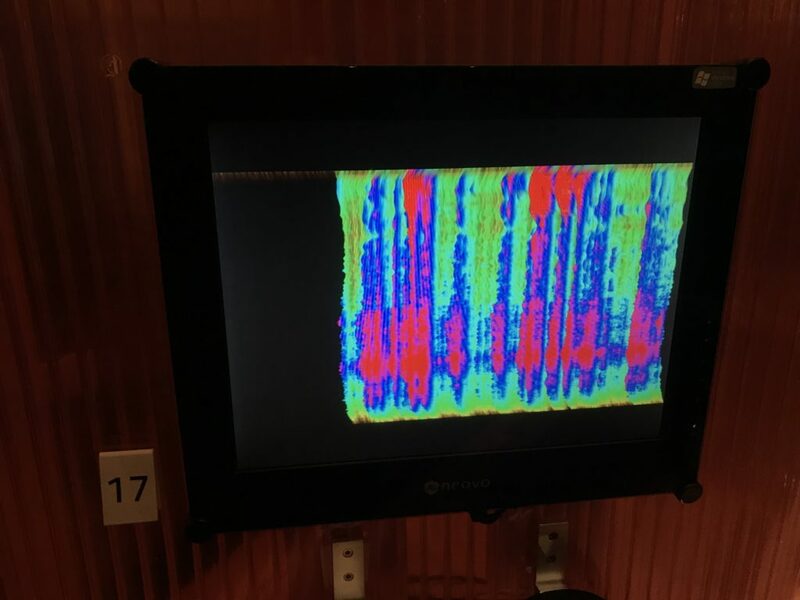 Dr. Song took us on a tour of the ongoing research projects she is Investigator in, which include research into a new conceptual design for a future Cochlear Implants. It is exciting to know that new research is being funded and conducted using public grants. 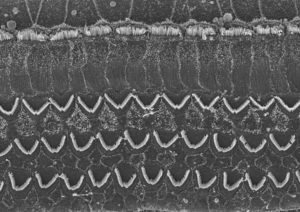 Dr. Song’s research examines Piezo-nanofibre based acoustic devices for an artificial cochlea. 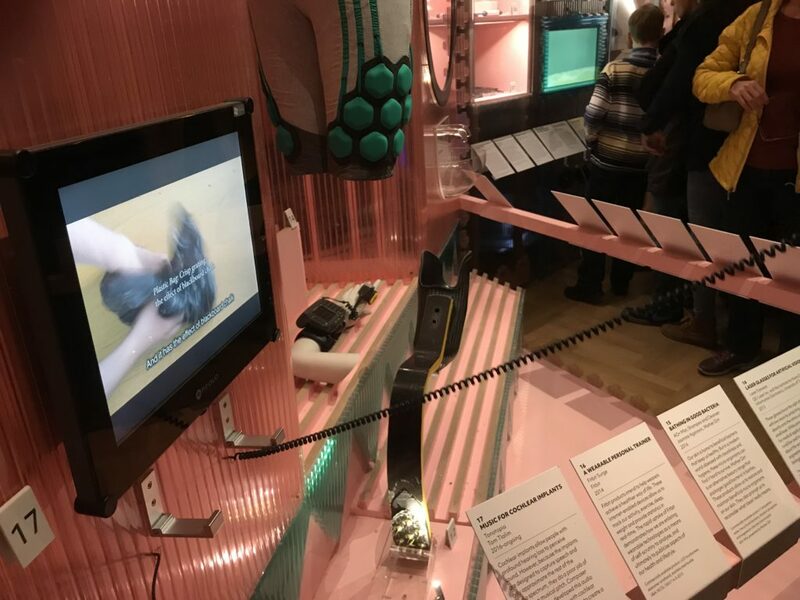 She is also working with Prof Martin Birchall of The Ear Institute and Dr Anne Van Hoestenberghe of the Department of Materials & Tissue of UCL, in collaboration with Professor Jonathan Rossiter at Bristol University, on developing Soft robotics for restoration of voice, breathing and swallowing project. 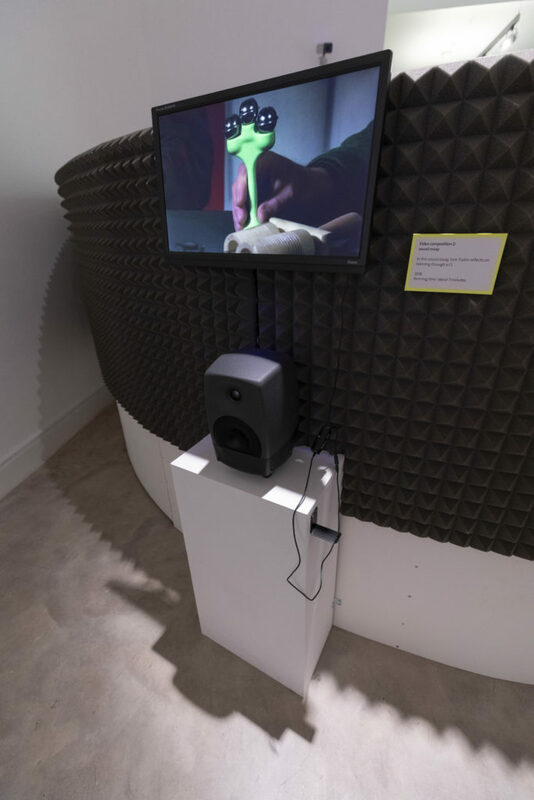 The prospect of both artificial vocal and aural mechanisms, heralds the future hybridisation and integration of corporeal systems with robotic micro-computing prosthetic organs. 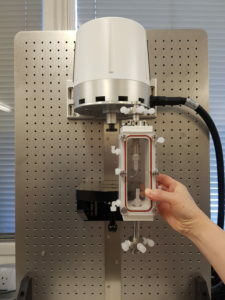 – Print scaffoldings for implants where bio-tissues grow on the scaffolding. The scaffolding is what gets “installed” transplanted in the system. 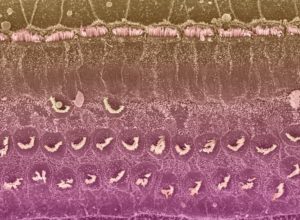 The prints have been successfully implanted into mice and the next stage is implanting into pigs, which is the precursor for implanting in humans. 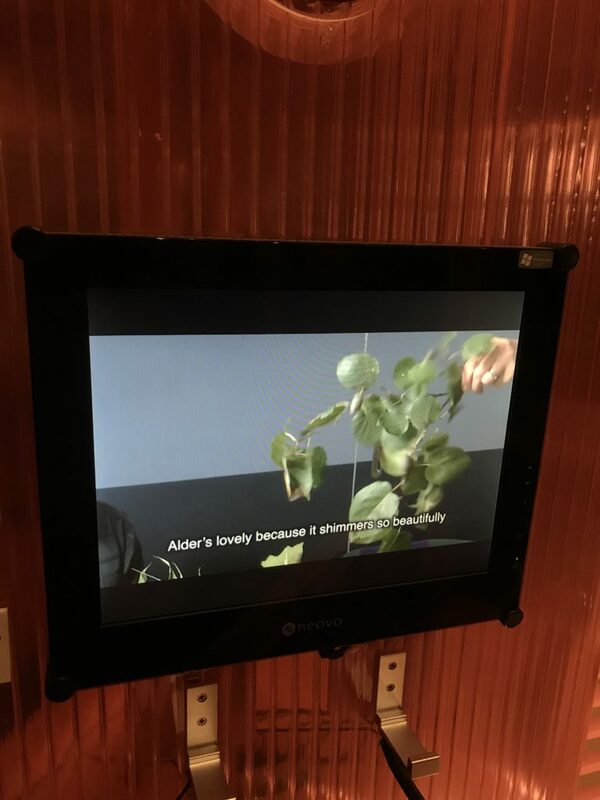 – Computer-monitored and controlled capsule where bio material grows and where the conditions and influenced by a feedback system where monitoring of the growth influences the settings. 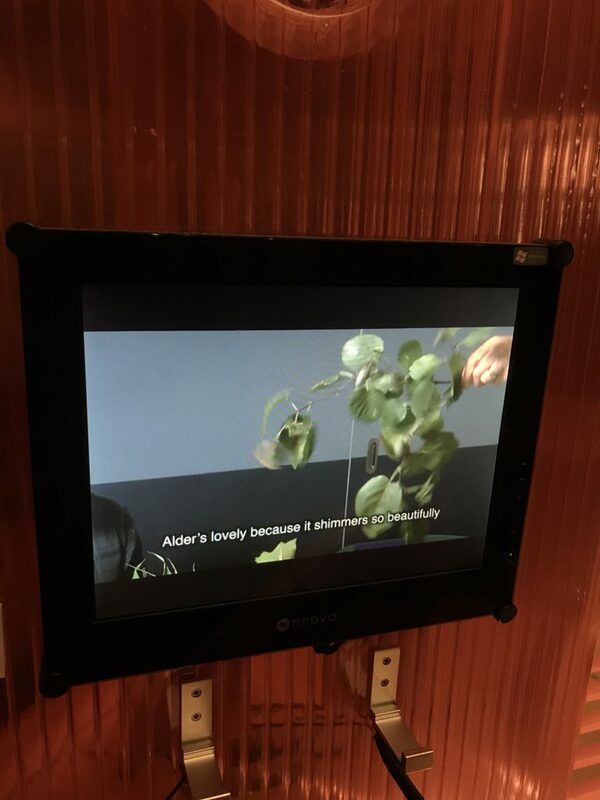 A feedback system. 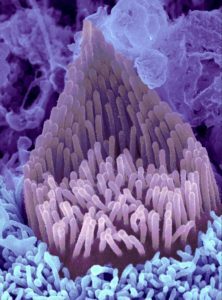 – Developing a new method where fabric is woven from conductive wires, and current is harvested from the conductance of these vibrating fabric (passive method) hopefully enough to stimulate the hair cells. 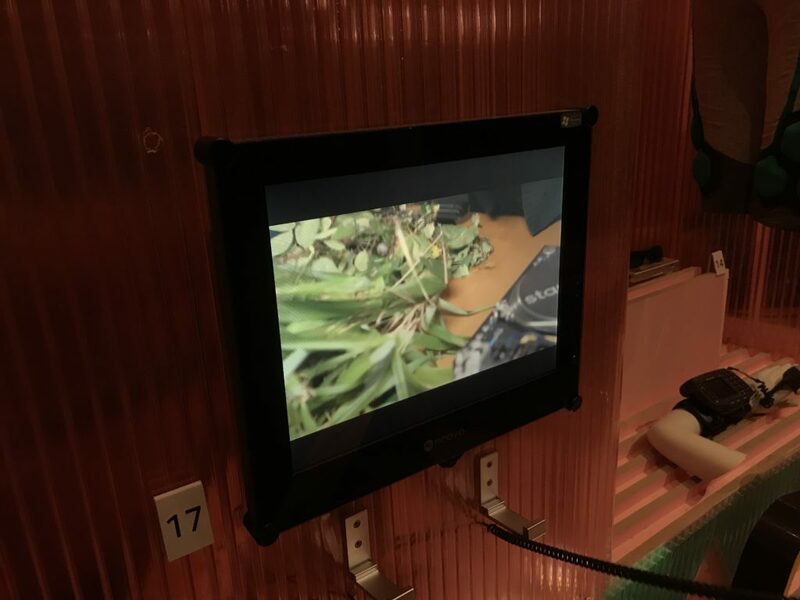 – They were conducting measurements with the system. 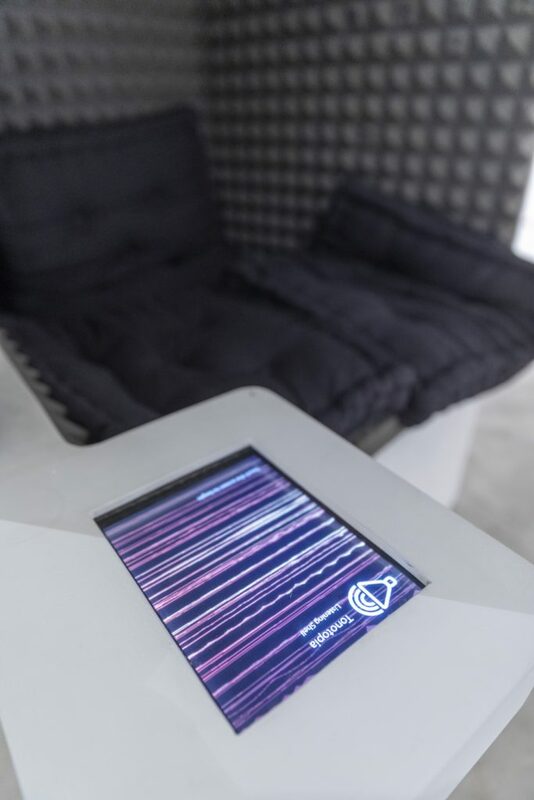 – A collaboration with the university of Bristol who are developing the physical interface. 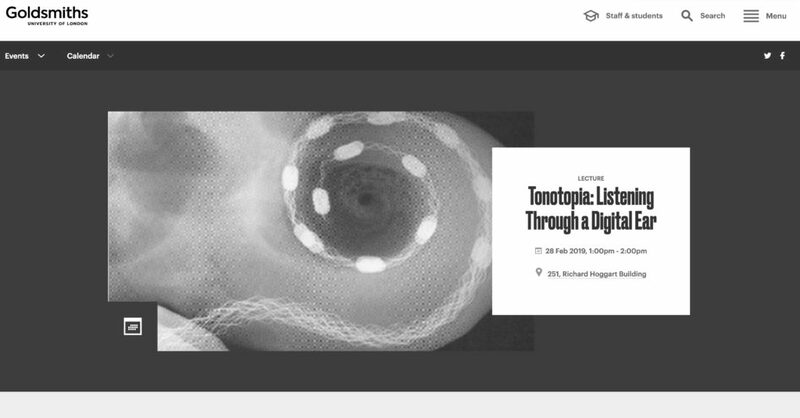 Slideshow for the Lunchtime talk by Tom Tlalim at the Victoria & Albert museum in London, on Wednesday 29th March. 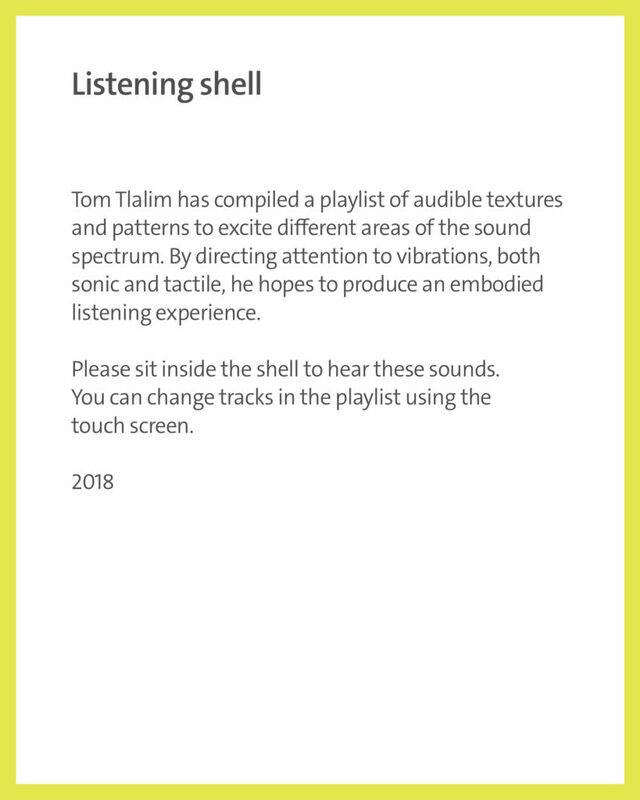 Meet Tom Tlalim, a sound artist and electronic musician. Tlalim started out playing in punk bands and now exhibits his artwork internationally. 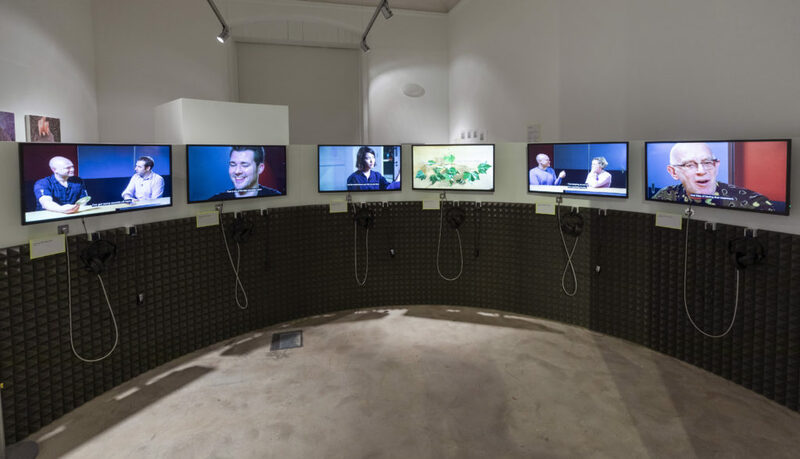 Most recently he has been working with the V&A to produce sound art with users of cochlear implants. 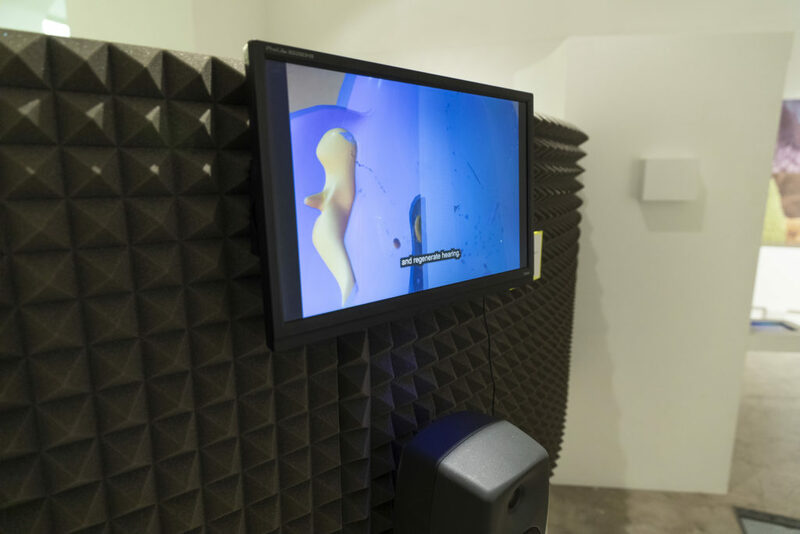 Find out more about his experimental practice and upcoming projects. 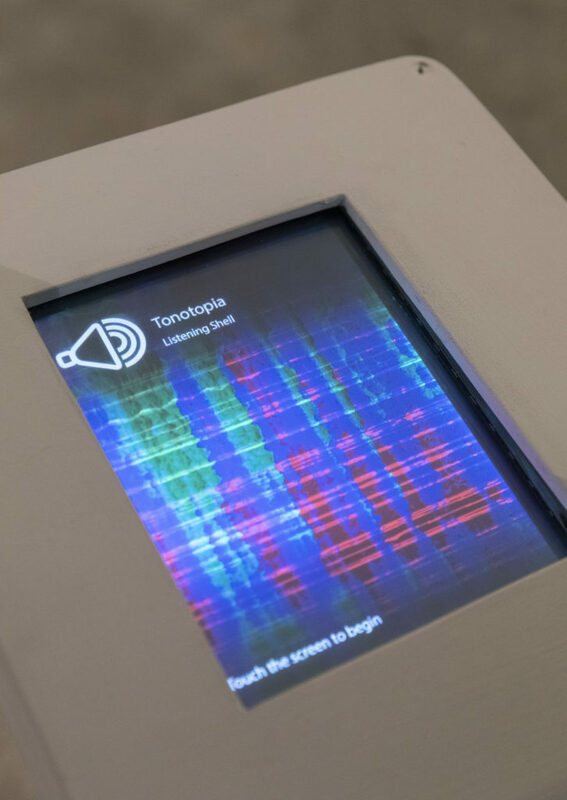 Tom Tlalim will discuss his ongoing project ‘Tonotopia: Co-designing sound art, where he has been collaborating with users of Cochlear Implants, exploring artistic modes hearing and listening inside and outside the museum space. 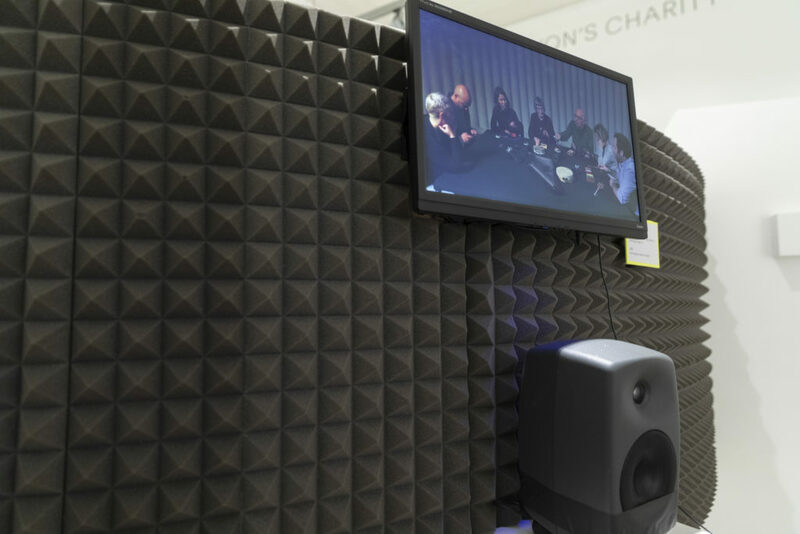 The project is supported by the V&A Learning Department and the charity Action on Hearing Loss. 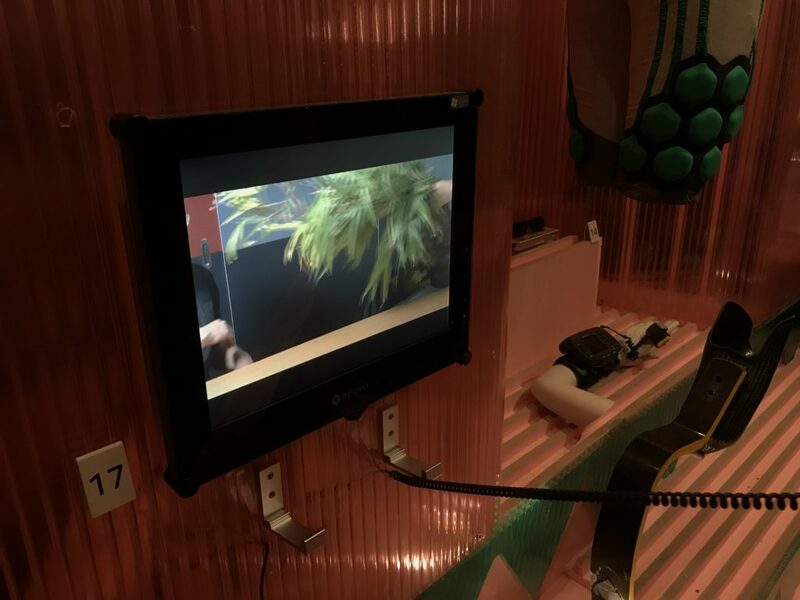 In the wake of recent developments in sensory prosthetic technologies Tlalim asks, how can artistic listening experiences be shared by various hearing capacities? Tom Tlalim is an artist and writer. 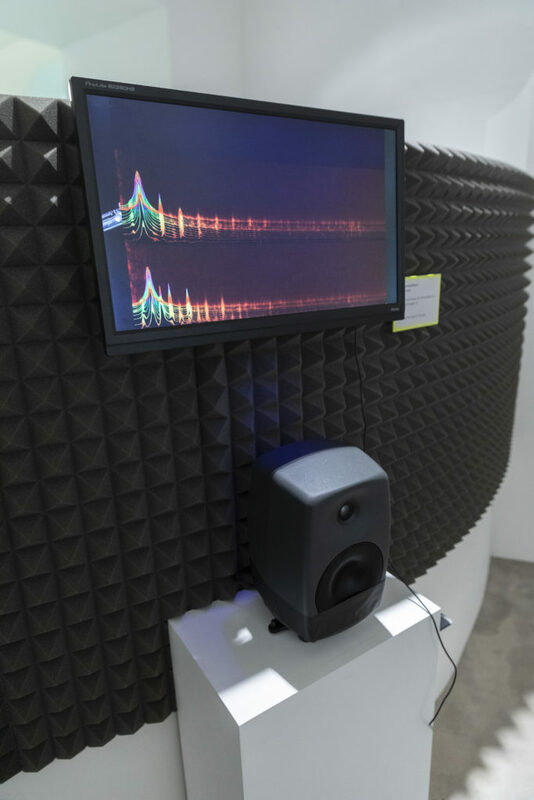 His work often explores sound as a medium for social and political exchange. 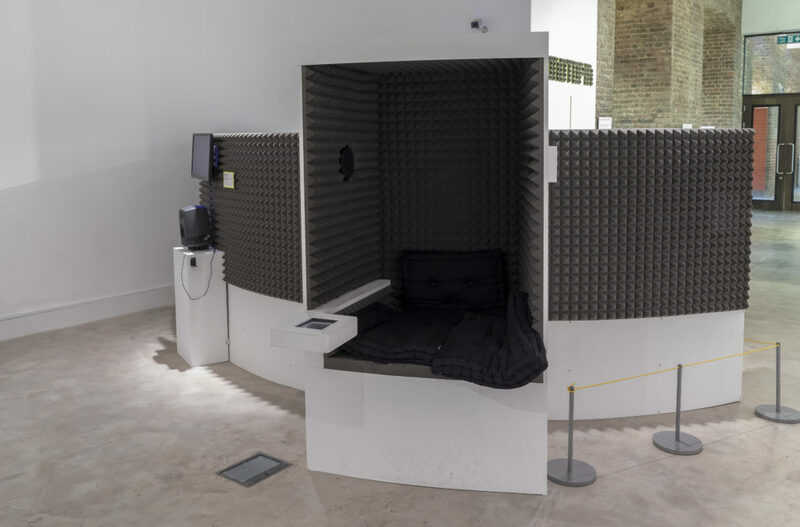 He completed his practice-based PhD at Goldsmiths with a grant by the Mondriaan Foundation. He also holds MAs in Composition and Sonology. 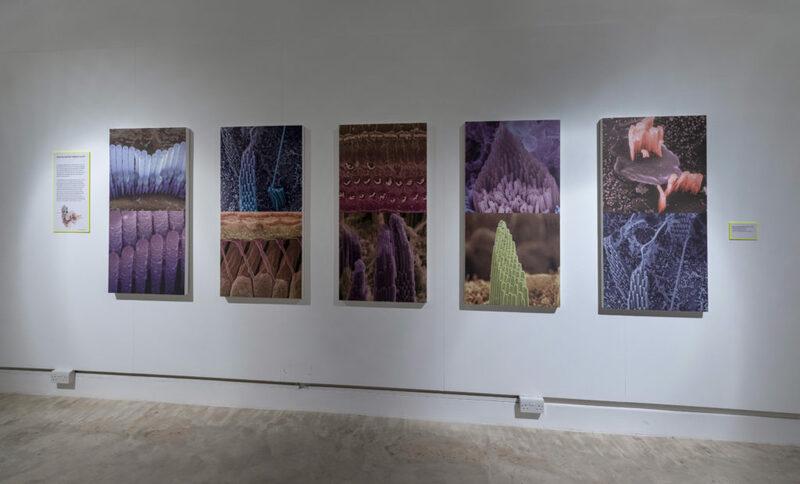 Tlalim’s work is regularly exhibited internationally. 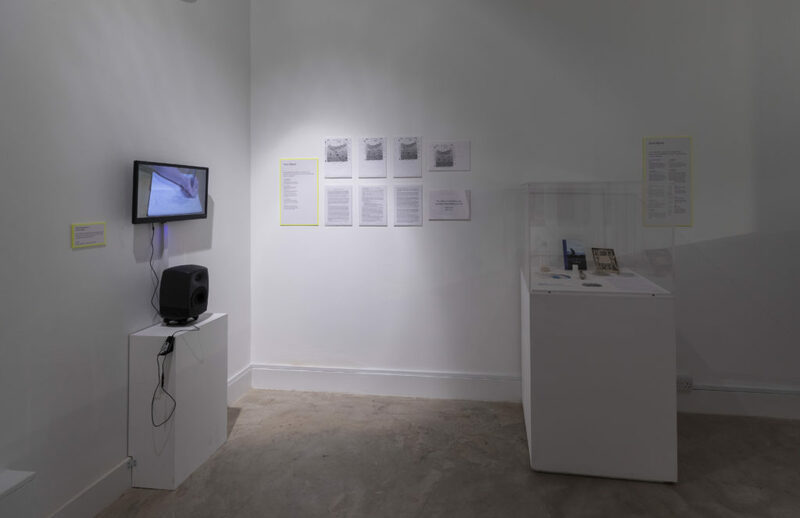 Recent exhibition include the Marrakech Biennale, Stroom The Hague, the International Film Festival Rotterdam (Tiger Award nominee), Witte de With Rotterdam, and the 2016 Venice Architecture Biennale (with Forensic Architecture). 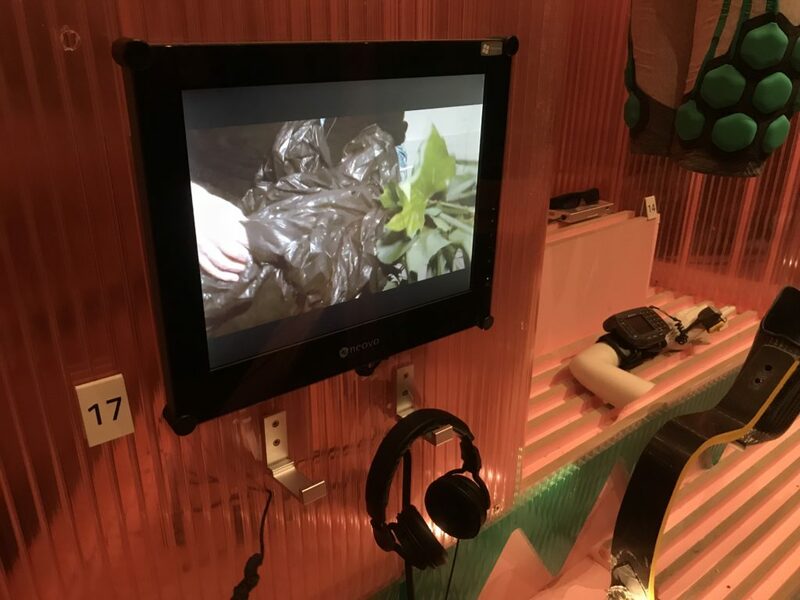 He is currently developing a new work in dialogue with users of Cochlear Implants at the Victoria & Albert museum community engagement and learning department in collaboration with Action on Hearing Loss.